In Liverpool for LIMF Commission The Record Producers – Live, Getintothis’ Shaun Ponsonby caught up with one of the most successful songwriters in music history. You’ve got around twenty minutes to interview one of your heroes, and you only learn about it half an hour before the interview is due to commence. Gulp. 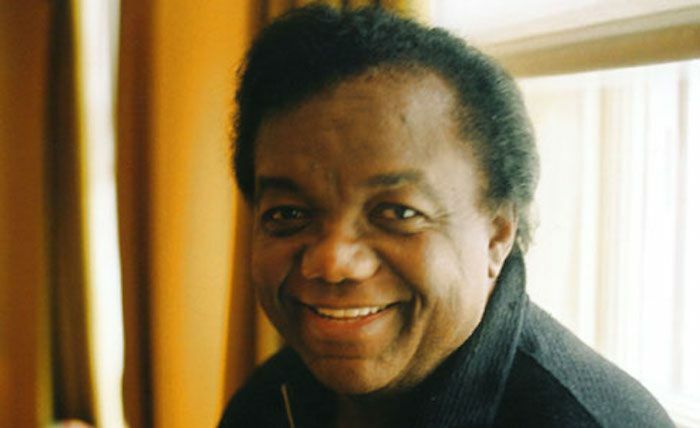 This writer has been listening to Lamont Dozier‘s music his entire life. Even if you don’t know who this man is, you know the songs he has written. One of the big players at Motown, as a member of the Holland-Dozier-Holland production team with brothers Brian and Eddie, he’s responsible for; Baby Love, Heat Wave, Where Did Our Love Go?, I Can’t Help Myself (Sugar Pie, Honey Bunch), Mickey’s Monkey, Can I Get a Witness?, Jimmy Mack, Bernadette, This Old Heart of Mine (Is Weak for You), Stop! in the Name of Love, Leaving Here, You’re a Wonderful One, Baby I Need Your Loving, Come See About Me, How Sweet It Is (To Be Loved by You), Nowhere to Run, It’s the Same Old Song, Take Me in Your Arms (Rock Me a Little While), My World Is Empty Without You, (I’m a) Road Runner, You Can’t Hurry Love, Reach Out I’ll Be There, Heaven Must Have Sent You, Standing in the Shadows of Love, Third Finger Left Hand and about a billion others. Following their Motown tenure, H-D-H started their own label, achieving hits on their own, including Give Me Just a Little More Time, and later tracks that Dozier recorded himself included Going Back To My Roots, later a massive hit for Odyssey. He is in Liverpool for a special LIMF Commission, The Record Producers – Live, a live version of the BBC 6 Music programme, taking place tonight (27th August) at the Epstein Theatre. GIT: When you started out, was your intention to be a writer-producer or a performer? Because this was really before people did both. LD: I was intent on being a recording artist and performer at that time, because when I came to Anna Records, which was started by Berry [Gordy, Motown founder]’s sister Gwen. I came to replace one of [Anna group] the Voice Masters, they had a couple of guys who had gotten drafted. I had some songs that I had written myself, and I wasn’t surprised because I knew they would like what I had to offer. But they released some of the Voice Masters records on the Checkmate label, which was part of Chess Records. LD: Yeah, well, Chess was actually before Motown. But Gwen had a deal with Phil and Leonard Chess, they were friends. But she was a songwriter with Berry, who wrote all the Jackie Wilson stuff. GIT: So, you were very aware of Berry beforehand because of the Jackie Wilson connection? LD: I knew him in passing. I would see him from time-to-time, before he started Motown. He had a group called The Matadors, who became Smokey Robinson & The Miracles. And I knew Berry was a representative or a producer for various labels. I should say Gwen started her label first, and she had a few big hits before Berry got his thing off the ground. In fact, she distributed Money (That’s What I Want) to give Berry a head start on his label. GIT: And how did the Holland brothers come into your life? LD: The Holland brothers were with Berry. GIT: Did Berry put you with them, then? LD: No, Eddie Holland did demos with Jackie Wilson. 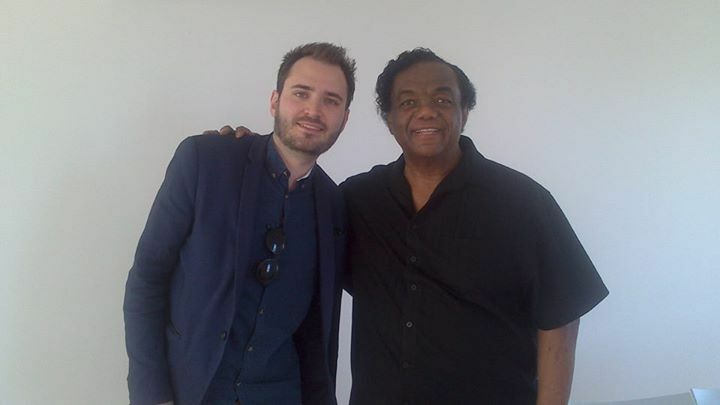 If you had a chance to listen to early demos made by Eddie Holland, you would hear the sound of Jackie Wilson. Jackie more or less got of his accents and phrasings from Eddie. GIT: Wow! I didn’t know that! LD: Yeah, they were different, but similar because of the phrases they put in the song. GIT: And when you started writing with the Holland Brothers later on, what was your process? Did you all have your own areas, or did you collaborate? LD: Oh, we collaborated! I was basically the idea man coming up with the basic idea [hums I Can’t Help Myself by the Four Tops], the basslines and all those things that I gave to [Motown’s studio bass player] James Jamerson. GIT: The genius James Jamerson! LD: Yeah, James and I were in a band together before we got to Motown. Popcorn Wylie was the name of the band. James was the bass, and I was the drummer. And we used to play at the bat mitzvah’s all that stuff [laughs], just to make a couple of bucks! GIT: So, I’m guessing you knew all the musicians in [Motown studio band] the Funk Brothers from around Detroit? LD: Yeah, well the Funk Brothers came together by Berry. I mean, there’s so many stories about how everybody fit into the puzzle, and we all eventually got together at Motown. GIT: So, when you were writing, you knew exactly what to write for these musicians, you knew how they worked. LD: Yeah, when played in the studio we would play each piece and show each guy what kind of feeling we had, and what we would want when we had a song. LD: We would just write the songs. A hit is a hit is a hit. And a hit can be on anybody. If the artist has some talent and some skills as a singer, all they would need is a hit song. GIT: And you were more than happy to oblige! LD: [Laughs] Yeah, I mean anyone who has a voice can sing a hit song. Or at least that was the way we wrote. We made sure that the song was king. GIT: There’s one thing that I’ve always wondered about. There’s a particular drum fill that comes right at the start of a lot of the tracks. Was there a particular purpose to it, or did it sound good? GIT: I went to see the Four Tops and The Temptations play once, and the drummer didn’t do that once and I was so disappointed! LD: That was Benny! You see, Benny played on the sessions, but if you saw the group in person on stage, it would be a different drummer, it wouldn’t be Benny! GIT: But it’s funny, because that fill is like a call to arms. As soon as you hear it on the radio, your head turns. LD: Yeah, [laughs], that became the signature sound at Motown. It was like announcing. GIT: This is a question that musical scholars have been debating for around fifty years, but as someone who was there, what do you think the Motown sound actually was? LD: The Motown sound was something that just…erm…first of all, it had to be infectious. And it also had to be something meticulous as far as the lyrics and the music coming together as spirits. Once you can get everybody in the same room doing the same thing on par with each other, and if the song was good with lyrics and melody with that infectious feeling; happy, feel good. Even if the song was sad, we still had that optimism in the songs that made the Motown sound. A lot of optimism! GIT: Oh, yeah, absolutely! Even to this day, the songs just make you feel good! The run you guys had with the Supremes – was it ten number 1s you had back-to-back? LD: Thriteen. Consecutive, one after the other! GIT: When The Supremes came into your life, did you know? Did you know that this was going to explode? LD: No. The first song we did on The Supremes, they hated the song, and didn’t want to do it. GIT: Was that Where Did Our Love Go? LD: Yeah, Where Did Our Love Go. We had recorded When The Lovelight Starts Shining, and that was a Top 20 song for them. But the really big one that knocked down all the doors and Motown on the map around the world was Where Did Our Love Go? GIT: Why did they not like it? LD: They just thought it was a piece of garbage as they put it! [laughs]. And they didn’t want to do it, but we convinced them to do it. It was done originally for the Marvelettes, and the Marvelettes wouldn’t do it. They hated it. GIT: And The Supremes at the time were known as the “No-Hit Supremes”, so they didn’t really have a choice! LD: Yeah! They couldn’t refuse it because they didn’t really have anything going! GIT: I think in the UK, it was the Supremes and the Four Tops who were the biggest acts over here, both of which were your groups. LD: Yeah, that’s right, that’s right. GIT: There’s two Four Tops songs, I think they were back-to-back, I Can’t Help Myself and Same Old Song, and Same Old Song sounds like I Can’t Help Myself backwards, and it’s even called Same Old Song! LD: [Laughs] That’s right! That was intentional! GIT: How did that happen? LD: What happened was the Tops had an old album on Columbia Records which they had recorded before coming to Motown, and the Four Tops had this big hit that we did, I Can’t Help Myself (Sugar Pie Honeybunch), and Berry got word that Columbia were going to release this old album of material that they had in the can years before to take advantage of their success with Motown. He came in and said “Hey, Lamont” – being the ideas man – “what have you got for the Tops? We’ve got to get something on the Tops right away”. So I said “well, what about these records, these sound-alikes, why don’t we just do that?” [sings: “it’s the same old song, with a different meaning since you’ve been gone”], he said “yeah, yeah, that’s a nice idea”, so I put together some chords and within two weeks we put it out and BAM! Knocked the Columbia record out of the way. GIT: Oh, come on! They’re going to mess with H-D-H?! LD: [Laughs] Yeah! I think it went Top 3 or whatever it was. GIT: I’ve also often wondered, why do you think the Isley Brothers never really took off at Motown? Because they had some great tracks with you. GIT: …the one hit that they had! LD: We had three big songs [with them], but the biggest of the three was This Old Heart of Mine. In fact we were saving that for the Tops, but they wouldn’t be back in Detroit for a couple of months. They were on a world tour. And Ronnie [Isley] was saying “why don’t you guys try to do something with us?”. Brian [Holland] looked at me and said “why don’t we just give them that track we’ve been holding for the Tops?”. Well, we didn’t say that, not to them anyway! So, we said “yeah, we’ve got something for you, come back next week”. So, we finished off This Old Heart of Mine, because it was a warm-up song that I used to play when I got into work. GIT: The piano riff at the beginning? LD: [Hums introduction to This Old Heart of Mine]. It was like a warm-up thing for me when I got into work at nine o’ clock in the morning. GIT: Jumping forward a bit, you left Motown and started up your own label, Invictus. How did you find that transition? Were you involved in the business end of things, or did you just carry on with what you were doing? LD: We just carried on with what we were doing while it lasted. We had about ten Top 10 songs. GIT: Give Me Just a Little More Time, Chairman of the Board. LD: [Sings Give Me Just a Little More Time], we had Freda Payne, Band of Gold. GIT: There’s one album that you released on that label that fascinates me, because it doesn’t really fit with the Invictus canon, and it doesn’t really fit into the band’s canon either, which is the Parliament album that you guys released. Do you remember working with George Clinton at all? GIT: Because he was kind of like another Motown refugee in a way. LD: George did that himself. That’s back when they used to wear a shirt and tie before he came up with all this flamboyant outfits and everything with Funkadelic. But they were The Parliaments or something first, and then George had the wild idea of making them look like what they wound up looking like [laughs]. GIT: Well, George is one of a kind! LD: [laughs]Yeah, he is one of a kind! At that point, we had to wrap it up. There was so much more we wanted to ask him, but Mr Dozier had a tight schedule. Given the time we had, we managed to cover quite a bit, and he was one of the warmest and most accommodating people we have ever interviewed. It’s nice to meet your heroes and find that. Meeting him has actually added more magic to the music he has given us. Next Article Cosmic Slop #31: Why the smugness about One Direction’s split?